Foxtel Arts will screen Sinatra 100: An All Star Grammy Concert, marking 100 years since the birth of the iconic Frank Sinatra. The two hour special screened in the US in December. ‘Sinatra 100: An All Star Grammy Concert’ is an all star tribute and the only televised concert special celebrating the late icon’s 100th birthday. The concert features outstanding performances for one of the world’s most beloved stars Frank Sinatra covering his classics. 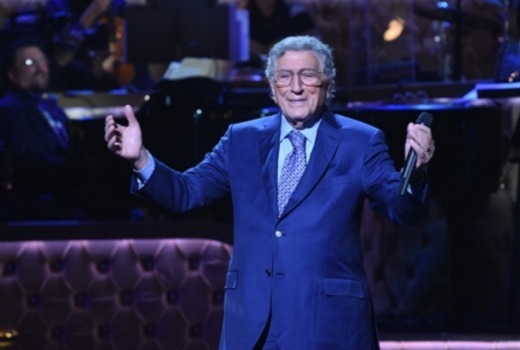 The outstanding performer line up includes Tony Bennett, Lady Gaga, Celine Dion, Sam Smith, John Legend, Adam Levine, Carrie Underwood, Seth MacFarlane, Harry Connick Jr. Garth Brooks, Nick Jonas, Trisha Yearwood, Alicia Keys and Usher. Quincy Jones, LL Cool J, Robert Patrick, Jeremy Renner also make an appearance. The special keeps the honouree centre stage throughout the tribute integrating performances of Sinatra classics with rare archival footage narrated by Sinatra himself. Sunday May 29 at 7.30pm on Foxtel Arts.